President Filipe Nyusi of Mozambique has officially launched the Heineken Mozambique brewer plant plant, APA can report on Wednesaday. According to a presidential media statement, the project, built at the cost of $100 million, will "adds value to the national economy, through the creation of jobs and use of national raw material". 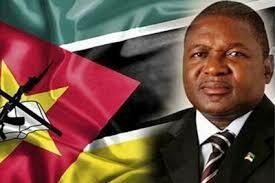 At the ceremony, in Bobole district of Maputo province, Nyusi was accompanied by the Minister of Industry and Commerce, Ragendra de Sousa, and the governor of Maputo province, Raimundo Diomba,. The construction of HEINEKEN's very first brewery is a major step forward for the company's presence in the country.